KATHMANDU, Aug 31: Technology has ushered fundamental changes in the way people learn and access education. It has several domains like e-classes, global learning, computer based training and mobile learning that has turned language learning quite simple and effective. With a hectic schedule, we cannot cram in enough time to language learning courses. Could learning languages in our smart phones be the solution? This app is named after the near-extinct local language of Cameroon. The app offers 10 languages and has both smart phone and desktop versions. One of the main attractions of Busuu is the thematic vocabulary it has to offer. There are well categorized vocabulary into sections like ‘Positive feelings’, ‘Adventure Sports’ and ‘Job Interview’ which facilitates the user with relevant words and phrases. On top of that, you can also get to write on a particular subject using the vocabulary you learned. Busuu has added another striking feature of chatting with the native speakers. This establishes the required fluency to the learn the language in an authentic setting. But Busuu also has some limitations. You are very limited as a free member as most of the beneficial materials are bundled up in the premium packages. So, you can only access basic features as a free member. Bad news for Japanese literates as the app comes without Kanji, the crucial part of learning Japanese. Albeit, Busuu is highly recommended for beginner language enthusiasts but the advanced learners would struggle to gain significant value from the course. 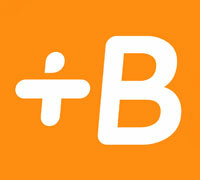 Babbel is available both in desktop and app versions. It gives the users option to choose among thirteen languages. Its courses are organized in categories like ‘Vocabulary’, ‘Dialogue’ and ‘Grammar Lesson’ which are short and can be easily completed within 15 minutes. The app also has preinstalled interactive games such as finding missing words and placing the words in right order which allows the user to learn language in a fun way. Moreover, it has an interactive way of teaching you grammar and sentence structure. Like the other apps it has advanced features which the users can only access through payment. Its most effective feature must be the pronunciation practice. It lets you record your own voice and compare it with the actual pronunciations. So the next time you say you’re wearing a Balmain dress, you’ll pronounce it correctly. Despite people favoring the app, it also comes with few drawbacks. Babble functions smoothly in the app whereas it hangs a lot while surfing via Chrome or Firefox. Its voice recognition feature is also not consistent. By far the best free language learning app, Duolingo offers the most innovative and addictive exercises with 11 languages to choose from. With more than 5 million people downloading the app, it has claimed to have the perfect balance of grammar and vocabulary. The best part of this app is that it is ad-free. First, you have a goal setting tool which varies from ‘casual’ to ‘insane’ depending on your seriousness and progress. One of its noted features is its user-friendly interface and the little turtle button that slows down the pronunciation. It may sound a little weird but it is very effective to take on the correct pronunciation of the word you’re typing. On the contrary, it doesn’t include Japanese and Arabic languages. Also, it doesn’t support live chats and other forms of interaction with other users. 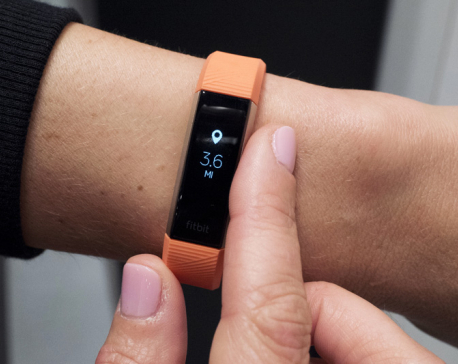 Fitbit, whose devices encourage people to walk 10,000 steps each day, now wants to put them to sleep as well.